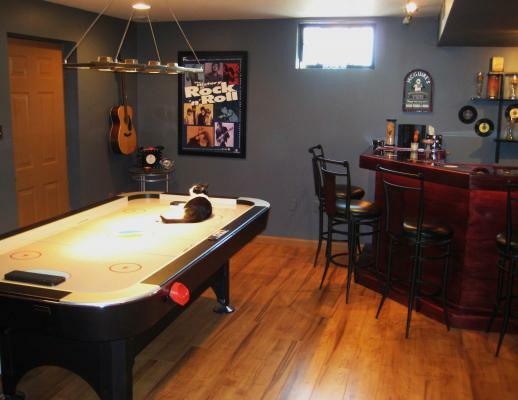 If Hockey is your sport, then these Hockey bar projects will be just your style. 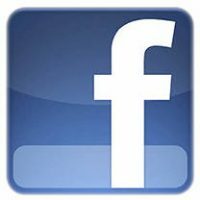 They were built by our site members and featured here for your enjoyment. These bar use interesting decoupage techniques that we discuss in another post related to decoupage bar tops. This first bar started out as a shortened version of the EHBP-03 wet bar design as the core. Next the builder modified the bar top to accept actual sliced hockey pucks, then he encased them in Envirotex liquid epoxy. The epoxy can be poured on in several coats and is "automatically leveling" which means it hardens very, very slowly and allows the force of gravity to give it a "glass like" smoothness. You can see that super reflection in the photo above. Using polyurethane alone will not provide this type of mirror like smooth finish. Hockey pucks can be sliced in half (or thinner). 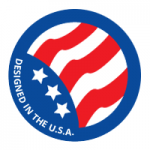 The typical regulation hockey puck is made of solid vulcanized rubber and is OK to "carefully" slice in half. I would suggest it be very cold and it be done slowly on a band saw with a fence to support the sideways puck and a stick to press on the opposing side. This slicing was done here, and the photo at right shows what the collector pucks look like once embedded into the bar top. 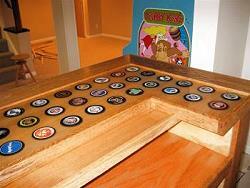 Each puck sticks out slightly above the bar top, but is then secured and encased in liquid epoxy. A heavy pour of epoxy is usually required for pucks or hockey stick encasement. A 128 oz of two part epoxy kit runs about $100. 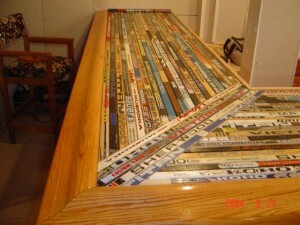 Now for something completely different, a bar top made with Hockey Sticks! Each stick was carefully measured and cut to fit into this laminated pattern of different brand sticks. 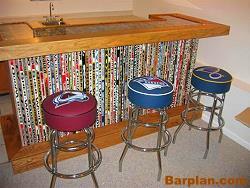 It shows an awesome level of creativity and can be replicated using your own collection of used or broken sticks. If you don't have any, contact your local hockey team and maybe they can help you out. I'm sure they have plenty of broken sticks lying around...along with a few teeth. The Chicago Style Bar arm rail is made from oak and specially shaped for use with bar tops. The rail comes in a variety of configurations and you can order this type of bar arm rail molding through our site. The easiest way to bring some life to your home bar for hockey season, a winter theme or even year round is to add a cool air hockey game. The bar shown at left includes a air hockey game and a lazy cat who's just asking for us to face off. The bar shown in that photo is actually the EHBP-09 45 degree corner bar that is included with your site membership.